John A. (Noodles) Viola, age 80, of 163 Ridgmont Dr., Ridgway, died Thursday morning, August 16, 2018, at Ridgmont Personal Care Home. He was born March 17, 1938, in Ridgway, son of the late Frank and Lucy (Sorge) Viola. He resided in Ridgway for 15 years and was a former Philadelphia resident. 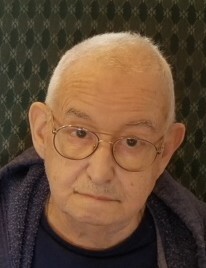 He was a member of St. Leo Catholic Church, the K of C, and usher at St. Leo’s, the Moose, the V.F.W., and President of the Ridgmont Personal Care Home. He attended St. Leo School. He had been employed by a clothing factory in Philadelphia for 40 years. He is survived by 1 sister Albina Creighton of Atlanta, GA, numerous nieces and nephews, great nieces and nephews, and great great nieces and nephews. Besides his parents, he was preceded in death by 2 brothers: Chester and Frank Viola, and 1 sister Teresa Cacchio. A Mass of Christian Burial for John A. Viola will be celebrated at St. Leo Catholic Church on Saturday, August 18, 2018, at 11:00 AM. Officiating will be Fr. Justin P. Pino, Pastor of St. Leo Catholic Church. Burial will be at St. Leo Cemetery. Friends will be received at the Thompson Funeral Home on Saturday from 9:30 to 10:30 AM. Memorials, if desired, can be made to St. Leo School.